We never lost contact over the years. We shared secrets, sorrows and joys. We laughed. We laughed a LOT. Paula~ You and Darrell have always meant so much to all of us. You have touched more lives than you can ever know! NOT TO MENTION….how many fun songs you taught me as a little girl! I still sing them! Berta~ And riding in the car with an umbrella! Paula ~ and losing a wheel going down the road! 🙂 …………. 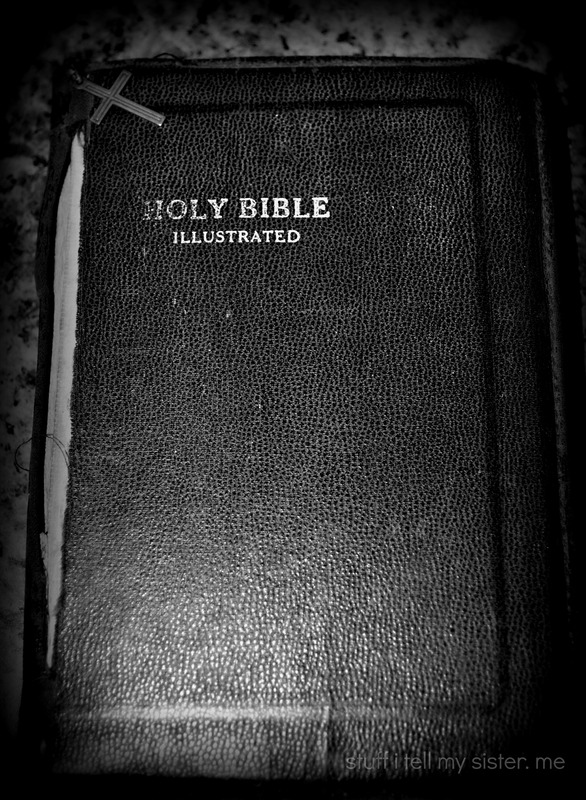 This entry was posted in Family, Friends, Friendships, loss, ponderings, Reflections, Relationships, Women and tagged angels, Berta, grief, I had a friend, Loss, Pastor's Wife, personal note, secrets, Spirituality, Sunday School Songs, The Bible, Unexpected loss, What is the secret to your life?. Bookmark the permalink. haha~me too…..and the wheel coming off the car….YIKES! We thought that so hilarious….kids! ~♥~ I can feel that Paula. Sorry for your loss. 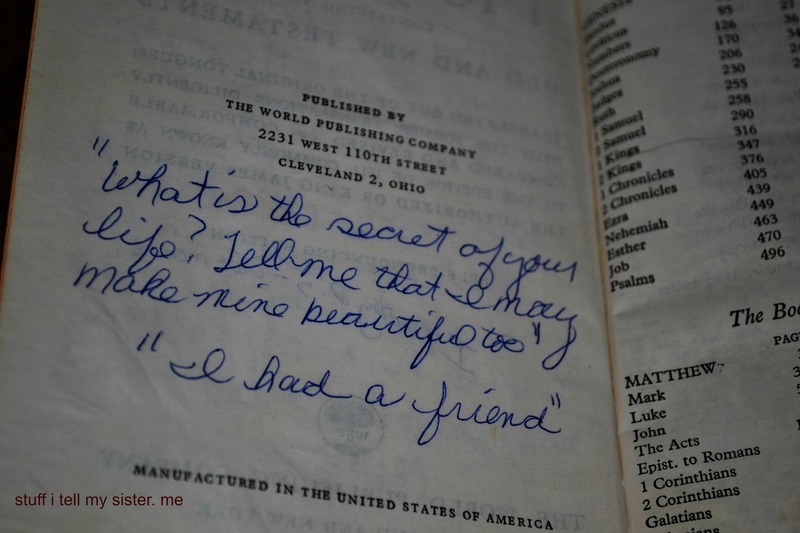 This is a lovely piece celebrating a friend— and writing! Do kids still write at all to each other? I’m sure if I dig through some boxes I might find some letters and cards I sent or received to my best childhood friend. Thank you for reminding us how important those friends are! Sorry for your loss – I’ve had a couple of my own lately. It’s great to have those touchstones to look at and remember fondly. Sweet story and lovely post. Sorry for your loss, Berta was a wonderful person in your life and you wrote beautiful words for her. Wonderful to have known someone like that! Oh Paula…I’m so sad for the loss of your dear friend. Berta is an angel and she will remain in your heart until you meet again. Such a loss. I’m so sorry. 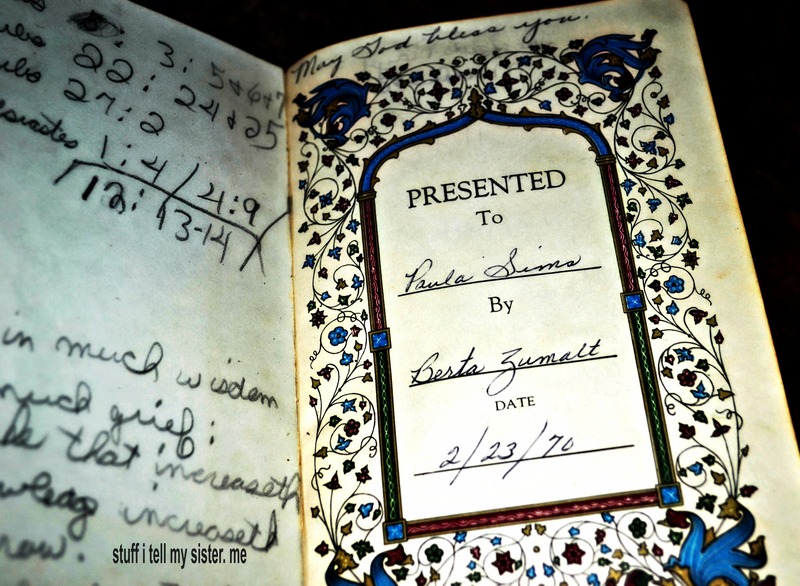 Thank you….. her friendship (& Bible) are forever treasures. I was so lucky to have her in my life. Soooo beautiful, just made my eyes water. I’m sorry for your loss, Paula. Berta sounds like a great friend and I’m sure you meant to world to her too. I feel your love for and appreciation of her so deeply. What a gift this friendship was – for the lessons of laughter, faith, silly songs and timeless love. Life long friends–nothing better. Memories will keep her there. Thank you for your sweet words, Gina.